Safe for Baby. Safe for Earth. Because they deserve it. Because they are our future. Our sustainable homes are an original, unlike any home built. An elemental conception so brilliant it has to be seen & felt to believe. We literally turn our walls inside out for your family & our earth. We have analyzed every component of the building process to build it better, stronger, safer and more affordable for your family. We focus on what matters so your family can literally breathe easy in your ultra-efficient Endres Home. 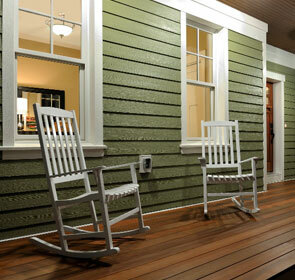 Our Aurora Model is a GreenPath Master Certified home. This conceptual home was constructed to create a much better indoor air environment for the family inside of it, especially children; while also making it ultra-energy efficient and affordable. 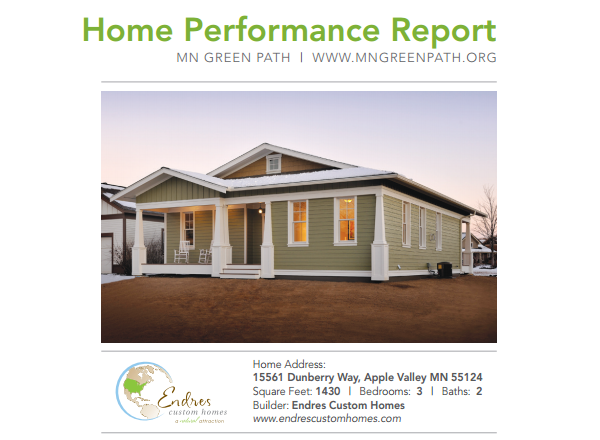 To do this we needed to start from scratch and set the new standard for home construction in Minnesota. It all starts with what you cannot see. We went through all of the structural components of a home to minimize the impacts on indoor air quality and the mark we leave on the earth. We removed unnecessary glues, formaldehyde, PVC and unnecessary chemicals. We used 100% recycled materials in areas that are also beneficial to indoor air quality; further reducing our impact on the earth. We used better framing techniques to minimize our usage of lumber and literally raised the roof to set the standard for better insulation techniques. We set out to eliminate heat flow, vapor drive and condensation within the home’s structure. We nailed it with our ultra-energy efficient thermal mass and impermeable air barrier conception. Conventional construction is ineffective at controlling any of these factors because a conventionally constructed home is inherently incapable of such a task and thus is why conventionally constructed homes will always have water, air and mold infiltration within the home’s structure. We made the air you breathe in this home safer. We analyzed the components of the home and selected better and safer products over conventional construction to create a better environment for your family inside and out while also maintaining affordability. From non-toxic paint to 100% wool carpeting to VOC absorbing materials we have set the standard for better indoor air quality. Because they are our future. How green do you want to be? Contact Us and tell us! Tell us your ideas! Tell us what is most important to you. Tell us what you want us to build for you! Contact us just to tell us how we are doing! We always love to meet new people who are just as passionate about sustainable building as we are!